• Senior reps must fill out the application form and be accepted in order to represent Juel Photography. Only 3 reps from each high school will be accepted. • For every friend you refer who books and completes their session, you will receive CASH rewards and a discount on prints & products. • You and your parents must agree to promote only for Juel Photography for your senior portraits from the time of acceptance through the entire 2017/2018 school year. • You will receive watermarked, web-sized images to use as your Facebook profile/cover picture. • A discounted session fee of $99 is required upon the signing of your Senior Rep agreement. That is a savings of over $150 for your Senior Session! FREE Stylized session this Spring (2017), with photos for promotional use (Social Media and Rep Cards). This shoot will be a group session with the other Senior Reps and will last up to two hours, with styling, and professional hair and makeup. You will be using the images from this session to advertise throughout the year! With this session, you will be provided 50 customized referral cards with your name, photo & my contact information to pass out to your friends! Discounted Full senior session, (the discounted senior investment is $99 (a savings of over $150). A Senior Rep spotlight post featuring YOU! For EVERY referral that books & pays you receive $25 CASH! At 10 referrals you receive an additional $100 BONUS! • You must currently be a 2017 Junior, graduating in 2018. • You must be able to exclusively represent Juel Photography to friends and other juniors and seniors in your school and community. There really isn’t one! If someone sees your pictures and likes them, then give them your rep card and tell them how to contact me! That’s it! You are NOT expected to discuss pricing or packages with them. 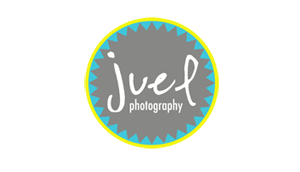 • You will ONLY promote Juel Photography. Thank you for your interest in becoming a Senior Rep for Juel Photography. Both the Senior and a Parent/Guardian will be required to sign a Senior Rep contract that includes a Model Release for advertising purposes. This will be emailed once all Senior Reps have been chosen. Deadline for submission is: March 26th, 2017. Selections will be announced on March 28th, 2017! ARE YOU READY TO HAVE THE BEST SENIOR EXPERIENCE AND REPRESENT JUEL PHOTOGRAPHY? If so, please fill out the form below. We will be in contact with you shortly after receiving your information. Why would you make a great senior rep?